I've sent you a PR on GitHub, feel free to comment it there if needed. Updated and just did a check. V1.2.3 is what I am running and has the issue. I clicked on the history tab and copied in the code from 5 days ago and this has cured the issue. EDIT: This is V1.2.3 as well. V1.2.5 - 03/03/19 - Removed some error checking put in v1.2.2 - If you have a device causing an error in the Device Status reporting, you will need to remove the device from this app rather than the app catching it. 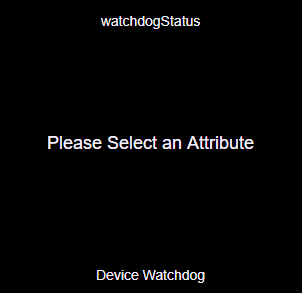 Has anyone seen hub crashes after using watchdog ? I have a battery check report and a device status report configured to run daily and my hub permentantly hangs requiring a power cycle. kicking the reports off manually doesn’t cause an issue though. 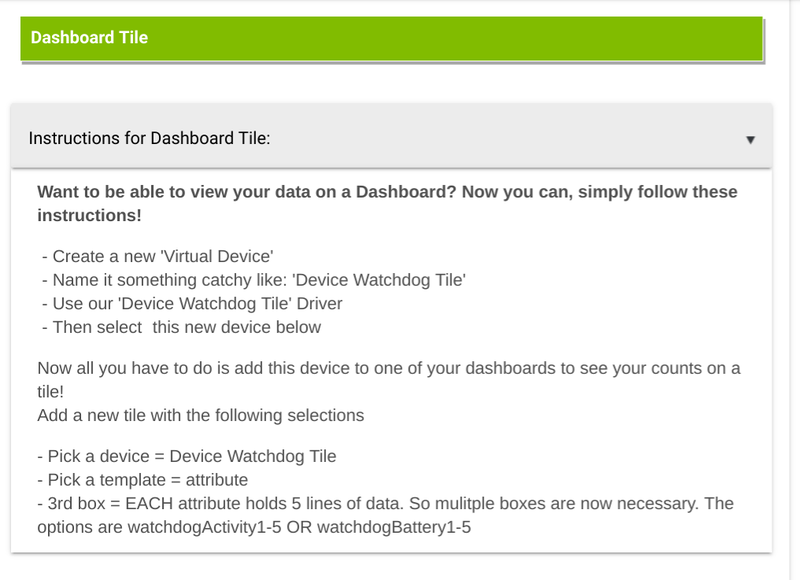 Just updated my hub to 2.0.7 which has improved dashboards. Just been going through them and when I get to my dashboard that has your device watchdog tile on it, it seems to be broken for the 'Device Status' part. Battery and inactive devices look OK. I'm getting Please Select An Attribute in the tile even though it is selected OK.
All Tiles now have a 1024 character limit to improve reliability with 3rd party drivers. For a lot of my apps, that means a major rewrite. Going to take some time but nothing else I can do about it. Just a thought. Is that character limit per tile or per instance of the App. Just thinking multiple tiles or instance might be a temporary workaround. I've been playing and I'm not sure what happened but I'm getting a device status display now. I deleted all the devices at one stage and put them back in. EDIT: Now its stopped again. V1.2.7 - 03/18/19 - BIG changes due to tile limit size. I've uploaded the new driver and updated both parent and child apps but it does not appear to be working for me I'm afraid. I've even deleted everything and re-installed but still no joy. I can get a report within the child app but nothing gets displayed on the tile. EDIT: When I press a virtual switch that I have created to run the report I can see it running in the logs OK. There is nothing in the device variables when I look. 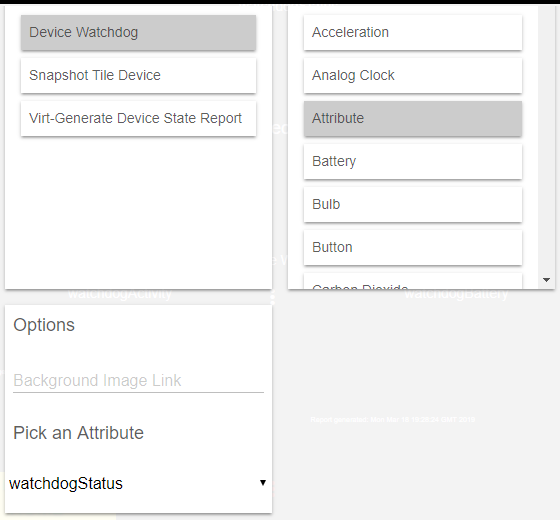 EDIT 2: No attributes are showing up for the Device when select in the dashboard. When selecting 'Status Report' in the app there is no option to select which device to send the data to. EDIT 3: OK. Here's the latest. I let the apps run through a 'timed run' and now thing are working OK for Battery and Activity and I have selected the correct attribute as shown in the Device. I just need to select 'Status' but I cannot select the device in the app. Sounds like you didn't read the instructions. Exactly the way it should be. Even says so right in the app. So just curious what the difference between this and the new built in app Notifications? They both seem to do the same thing now?